The Islamic Center of Passaic County filed a motion to dismiss the legal complaint brought forth by several former members of its board of trustees accusing the current board and the imam of using center’s money for personal expenses, but Passaic County Superior Court judge sustained the complaint on Friday morning. The center’s attorney Aymen Aboushi of the New York-based Aboushi Law Firm filed the motion stating the former board members don’t have standing to bring the lawsuit, and the case should be dismissed because the center’s bylaws calls for disputes to be resolved through arbitration. De Marco said superior court judge Margaret McVeigh agreed with his clients. He said the judge ruled the matter should be heard by the court. He said another point in the suit that calls for the reinstatement of Mahmoud Aburomi, a member who was removed from the general assembly, was set for arbitration. The judge ordered arbitration to resolve the Aburomi membership issue. “We sought that he should be reinstated and that they did not have a right to remove him,” said De Marco. The judge ordered an arbitration of that piece within 30 days. A panel of 3-5 people mutually selected by the center and the former board members will decide on the issue. “It’s a victory for us,” said De Marco. Aboushi said the mosque always wanted to arbitrate these claims. He welcomed the Aburomi arbitration. “We’ve always taken that approach and the judge felt differently [about some of the claims],” said Aboushi. “I think the fact that their main goal was to overturn the current board, dissolve it and have themselves reinstated as board members. I think they failed miserably,” said Aboushi. Aboushi said all that’s left now is their “unsubstantiated claims” that the center “vigorously” denies. The lawsuit was brought against the center and its current board by former board members Nicholas Matahen, Maher Al-Badri, Mahmoud Aburomi, and mosque congregant Mobin Sheikh. The suit alleged the center’s imam Mohamed Qatanani of using $88,000 of the mosque’s money for his “personal legal expenses.” The former members also alleged Mazooz Sehwail, current secretary of the board, allegedly used the center’s American Express card to make purchases “for his own personal expenses,” according to the legal complaint. “We’re going to prove them wrong, “said Aboushi. Aboushi said all of those allegations are untrue, and he said much of it will be proven over the course of the case. He said next comes the case management conference, after which information will be exchanged through discovery, and then comes the motion for summary judgement. “We get another opportunity to have all the claims dismissed once we review what their evidence is,” said Aboushi. If the judge doesn’t dismiss the claims at that point, only then will it go to trial. He said it’s too early to say it will go to trial. “We look forward to proving it false,” said Aboushi. He said the center opted for arbitration because it’s cheaper and would have saved both sides thousands in legal fees. “If they want to spend thousands upon thousands of dollars for litigation God bless them for having those resources,” said Aboushi. De Marco said the main aim of the lawsuit is to make the individuals running the center transparent. “This not a lawsuit against the center. This is a lawsuit designed to help the center. I think people are trying to convey just the opposite that my clients have sued the center, and that’s not the case. This lawsuit was filed to benefit the center to return to the center the monies that should be there for its purposes,” said De Marco. 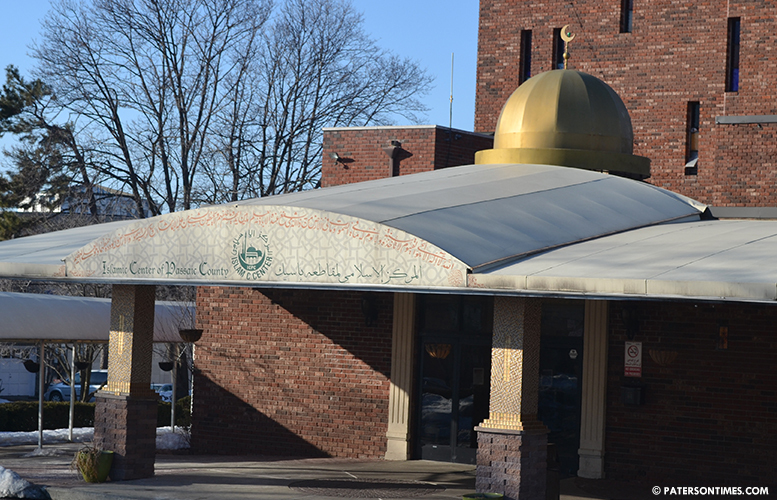 “I think it’s a victory for the community and the Islamic center,” said Aboushi.